The San Diego Forever Lions Club was chartered on March 30, 2007. It was sponsored by the San Diego Mt. 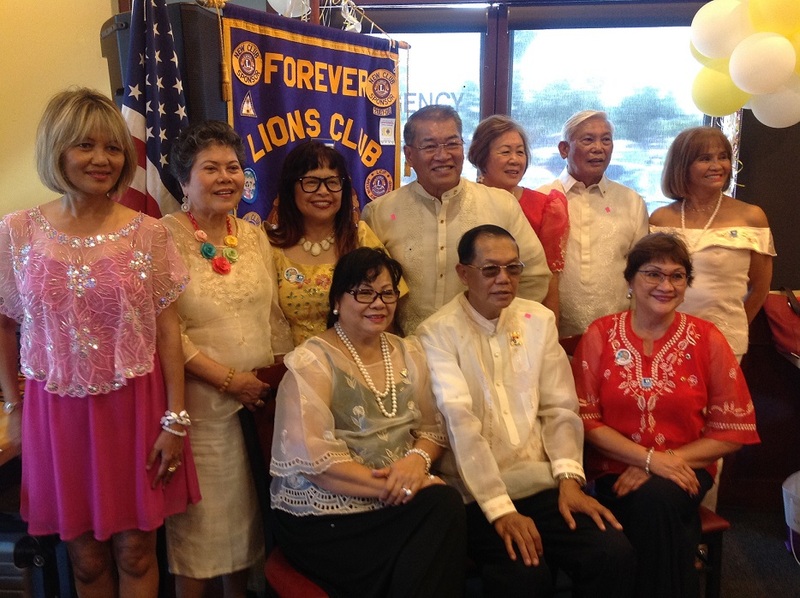 Pinatubo Lions Club and co-sponsored by the San Diego Executive Lions Club. It was named after the "Forever Young Association of San Diego" in which most of the members that formed the club belongs to that association who are ballroom dancing enthusiasts,active and retired US Navy personnel, various professionals and business owners. We are known as the dancing club of the Lions in the District 4-L6 because we are mostly composed of very talented members and not just limited to ballroom dancers but also singers, disco jockey and artists. TO SEEK success and to demand all fair remuneration or profit as my due, but to accept no profit or success at the price of my own self respect lost because of unfair advantage taken or because of questionable acts on my part. TO REMEMBER that in building up my business, it is not necesssary to tear down another's; to be loyal to my clients or customers and true to myself. WHENEVER a doubt arises as to the right or ethics of my position or actions towards my fellowmen, to resolve such doubt against myself. TO HOLD friendship as an end and not as a means. To hold that true friendship exists not on account of the service performed by one to another but that true friendship demands nothing but accepts service in the spirit in which it is given. ALWAYS bear in mind my obligations as a citizen to my nation, my state and my community and to give them my unswerving loyalty in word, act and deed. To give to them freely of my time, labor and means. TO AID my fellowmen by giving my sympathy to those in distress, my aid to the weak and my substance to the needy. TO BE CAREFUL with my criticism and liberal with my praise; to build and not destroy.